On September 11, former Republic of China President Chen Shui-Bian was convicted on four counts of corruption, and given a life sentence. Chen is now demanding that the U.S. Court of Appeals order his release, arguing that the United States still has authority over the island of Taiwan. Chen says that under the terms of a 1951 peace treaty with Japan, the United States remains the “principal occupying power” of Taiwan, and that as president of the Republic of China, it was his duty to accept orders from U.S. military officials. Chen says that because of his unique relationship with the United States Military Government for Taiwan, he enjoys immunity from prosecution by the very government for which he was president for eight years. Does Chen’s argument have any merit? Taiwan is China’s sovereign territory. Taiwan is one of China’s thirty odd provinces and autonomous regions. Taiwan has belonged to China since the Ming dynasty, longer than the United States of America has been in existence. The island of Taiwan was once part of Fujian Province. 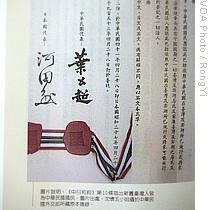 In the late Qing dynasty Taiwan was upgraded to the status of a province. Japan formally returned Taiwan to China in two official Taiwan Retrocession signing ceremonies, one in Nanking, the other in Taipei. The so-called “Taiwan’s Undetermined Status Theory” is sheer sophistry, and amounts to a brazen attempt to annex another nation’s sovereign territory. Those who allege that “Taiwan’s status is undetermined” ritually invoke the Treaty of San Francisco of September 8, 1951. But this treaty is not binding on China, because neither the Republic of China government in Taipei or the Peoples Republic of China government in Beijing signed it. What is binding, is the Treaty of Peace between the Republic of China and Japan, which was signed by Yeh Kung-chao, Minister of Foreign Affairs and Plenipotentiary of the Republic of China, and Isao Kawada, Minister of Foreign Affairs and Plenipotentiary of Japan, in Taipei, on April 28, 1952. In other words, the Makuan Treaty of 1895 (aka Treaty of Shimonoseki) has been rolled back, and Taiwan, including Diaoyutai, as well as Penghu, revert to China. 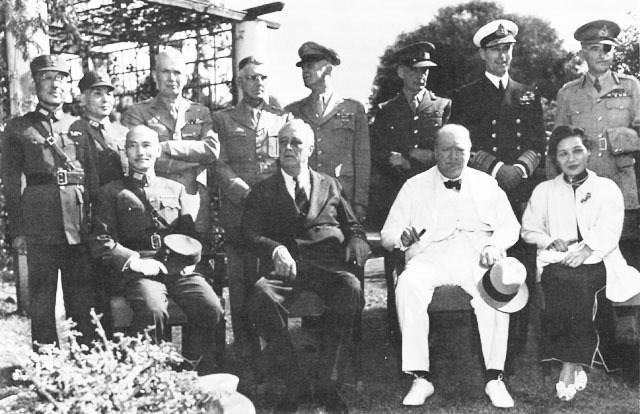 It is unconvincing to say that when a Chinese territorial issue was at stake, the Cairo and Potsdam declarations, to which the ROC was a signatory, should carry less weight than the San Francisco Peace Treaty to which China was not. Simply put, Japan annexed Taiwan by defeating China, which regained the island by defeating Japan half a century later. This historical fact is so crystal clear that in pre-1945 days, no one in the international community had ever raised doubt about it. The 1972 Shanghai Communique codified this US position. Taiwan’s status is not “undetermined.” Taiwan belongs to China. If Taiwan was not part of China, how come no countries in the world complained when Chiang Kai-Shek, who was the leader of Republic of China, retreated his government and army to the island in 1949? And, the official name of Taiwan today is still Republic of China?Chen Sue-Bien is a shameless pig. Hello,I'm a regular contributor at Wikipedia on Taiwan-related issues, and one article that I've worked on substantially in the past is Legal Status of Taiwan. Would you know of scholarly sources that would "round out" what's available there? (Wikipedia articles are expected to be written neutrally, so all substantial points-of-view have to be represented.) The article currently lacks a few citations.BTW, IMHO another strong argument in favor of China in any would-be dispute over Taiwan is the prescription rule. It's been almost 64 years since the proclamation of retrocession, and NOT ONE STATE has filed any protest against (1) the repeated Chinese claims, and (2) the actual administration as sovereign of the island by a Chinese government. There reaches a point where any counterclaims are frankly too late and should be rejected, since the people have become settled into the existing patterns. Dear Anonymous,My own article above is based on well-established historical facts not the least bit in dispute.I am merely talking common sense. Unfortunately in today world, that is often an uncommon commodity.Frankly having to argue that Taiwan belongs to China and that its status is not "undetermined" is like having to argue that the Earth is round and not flat.